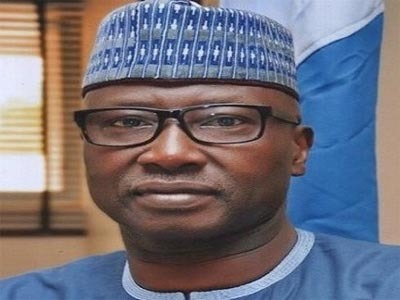 SECRETARY to the Government of the Federation (SGF) Boss Mustapha has said that President Muhammadu Buhari will achieve landslide victory in the forthcoming presidential elections. He spoke Wednesday night during a meeting of All Progressives Congress (APC) stakeholders at the home of the Federal Capital Territory (FCT) Minister, Malam Muhammad Bello, in Abuja. Mustapha urged the party faithful to forge a united front in this campaign season as it is only through unity and purposefulness would the party be able to achieve victory at the polls. â€œThe APC as a big family, we have already put behind us the sad chapter of what transpired during the primaries in a consolidated manner. Itâ€™s going to be landslide victory for President Buhari and we are rest assured that God willing, we are going to the next level,â€ the SGF said. It was agreed at the meeting that Bello should lead APC campaign council as the party prepares to win the elections in the FCT. Bello emphasised that the party was going into the electioneering campaign as one family. As chairman of the APC Campaign Council, the FCT Minister, is head of the main policy-making and strategy planning body. Bello is to be supported by the APC State Chairman, Abdulmalik Ahmed Usman, as his deputy. According to a statement issued yesterday by the Chief Press Secretary to the FCT Minister, Cosmas Uzodinma, other members of the council include National Assembly aspirants, Board of Trustees members, National Executives representing FCT, Area Council Chairmen and the Campaign Director-General among others. The campaign, the minister said, will begin with tour of the FCT Area Councils, culminating in a mega national rally of the party billed for the Abuja Capital City. The FCT Minister added that the setting up of the campaign council followed the reconciliation committee set up by the APC in the FCT, headed by Senator Sidi Ali, to reconcile aggrieved aspirants and other party members after the primary elections.